1427. 🇯🇪 Jersey Post Commemorates Victoria Bicentenary. 🇮🇲 It does not seem that philatelic agencies or postal services can make enough money out of stamp collectors or people who are not collectors but who buy stamps for a special reason without the constant need to add more and more items to a special issue. Hence we have a profusion of miniature sheets, Prestige booklets, Post and Go stamps, Collectors sheets, counter booklets, My Stamp sheets and so on and so on and so on. These have their fashionable moments but like a poor player they strut and fret their hour upon the stage and then are lost forever. Or not as the case may be for sadly most of these fashions linger on with increasingly high face values and in limited editions made up of increasingly decreasing numbers of items printed. As the long dead fashions lose appeal to collectors so philatelic services persist with them in the hope of scraping out at least a small profit from what are really dead ducks. The British offshore islands are particularly guilty of this. 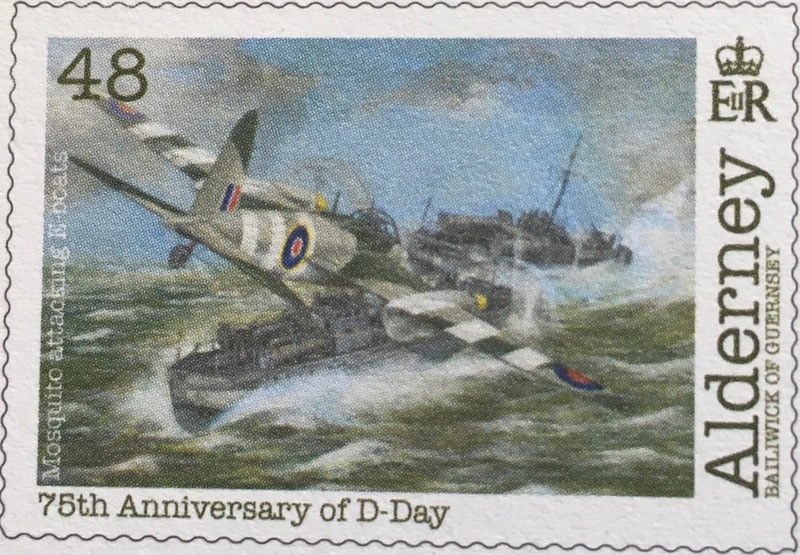 So The Isle Of Man Postal Service plans to add more stamp items to their announced special issues some of which are in the inevitable ‘limited editions’ and sold at a premium. 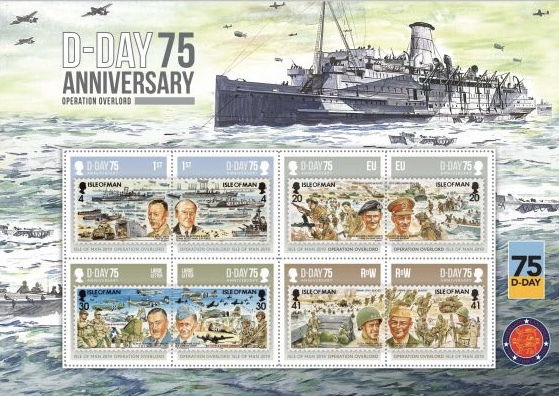 The 8 stamps planned for release on 22 April 2018 to commemorate the 75th anniversary of the D Day Landings and already costing £8.14p and reusing designs employed on a previous issue are to be accompanied by a Collectors sheet also sold for £8.14p and the set of eight intended for release on 29 April 2019 to commemorate the 50th anniversary of the First Manned Lunar Landing will be accompanied by a four-pane Prestige booklet to be sold for £16.28p and another tiresome Collectors sheet to be sold for £10.25p. Rating for all three of these items is:- 0. In case you think these items especially when they are in limited editions are of great investment potential and worth buying for that reason alone you might note that the Isle Of Man Post Office is still trying to unload Collectors sheets from 10 years ago which it issued to commemorate the 40th anniversary of the First manned lunar landing and it is trying to take £20 off collectors for the privilege of buying 10 year old surplus stock. As always, caveat emptor. 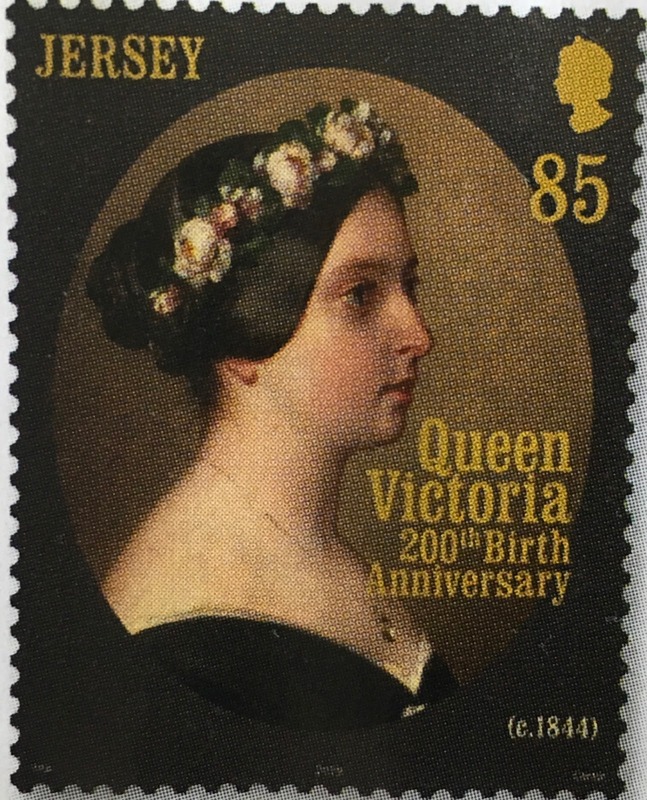 🇯🇪 Jersey Post will issue a set of 6 stamps and 1 miniature sheet on 24 May 2019 to commemorate the Bicentenary of the Birth of Queen Victoria. 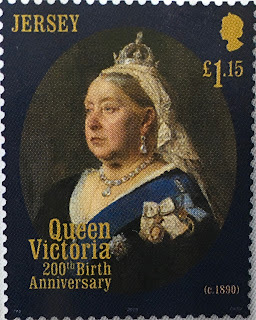 The stamps depict various portraits of the queen at different times of her life and are similar to those which will be released by Royal Mail. 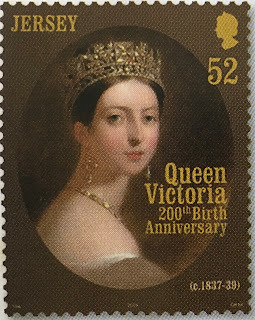 The miniature sheet design depicts a portrait of Victoria by Franz Xavier Winterhalter, a copy of which is to be seen in the great hall of Victoria College in Jersey. A pleasingly colourful and interesting set. Rating:- *****. 1426. 🇬🇬 Guernsey Post New Issue Will Commemorate D-Day. 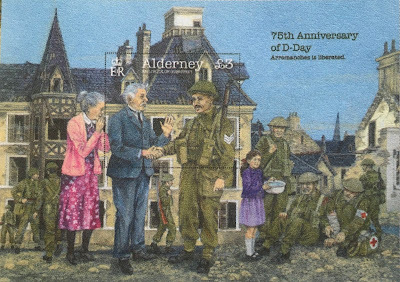 🇬🇬 Guernsey Post will issue a set of 6 stamps and 1 x £3 miniature sheet containing a single stamp inscribed ‘Alderney’ on 29 May 2019 to commemorate the 75th anniversary of the D Day Landings in Normandy when Britain and its allies crossed The Channel to launch their assault on Nazi Germany. The Channel Islands which were so close to the Normandy Coast were under German occupation and so the Normandy landings paved the way for the islands’ liberation. This interesting issue and attractive set was designed by Mark Tottenham from illustrations by Bryan Byron and lithographed by Southern Colour Print and perforated 14. Rating:- *****. 🇹🇹 In Blog 1353 I mentioned new issues from Trinidad And Tobago Post and I now have better quality illustrations of them. The first set to be mentioned is the set of 5 which commemorates the Tenth anniversary of the Gas Exporting Countries Forum as well as the 20th Ministerial Meeting of The GECF which took place in Trinidad from 10 to 12 November 2018. I assume therefore that the date of issue was 10 November 2018. Finally there is a set of 5 self-adhesive stamps and 3 accompanying miniature sheets and I have illustrations of the stamps and 1 of the miniature sheets below. The issue commemorates the Bicentenary of the Botanic Gardens in Port Of Spain. 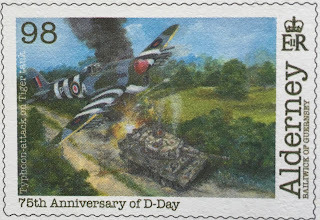 The date of issue was 8 December 2019. 🇨🇾 Cyprus Post will issue a single stamp on 24 April 2019 to commemorate the Centenary of the birth of Glafkos Clerides who was the fourth President of Cyprus holding office from 1993 for the 10 years up until 2003. He was also Acting President of Cyprus during the critical period following the Turkish invasion of Cyprus and held the post until the return of Archbishop Makarios to the island. In 1946 he married Lilla Erulkar who was the daughter of the personal physician to Mahatma Gandhi and he served with the Royal Air Force during the Second World War being shot down over Germany in 1942 and consequently taken prisoner. He practiced law and participated in the 1959 London Conference on Cyprus having been a member of EOKA, the organisation which sought Cypriot independence from British rule. The government formed by President Clerides is credited with taking the actions which led to Cyprus's membership of the European Union in 2004. Mr Clerides died in Nicosia in November 2013 at the age of 94. 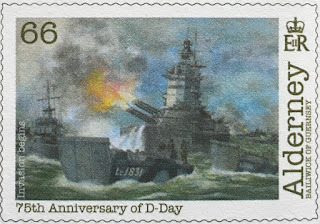 An interesting stamp. Rating:- *****. 🇲🇾 Pos Malaysia appears to have issued a new sheetlet of 15 different stamps which depict the current King Of Malaysia and all 14 of his predecessors. This is a very colourful item and highlights the history of Malaysia since Independence through the portraits of the country's Heads of State. Each monarch is on the throne for a limited period which makes one reflect that during the reigns of 15 monarchs of Malaysia (all men), one woman has been the monarch of The United Kingdom, Australia, Canada and New Zealand, the four countries of which Elizabeth II was Queen when she came to the throne in 1952. Rating:- *****. See also Blog 1083. I do not know yet the date of issue. 1424. 🇳🇿 New Zealand Post To Illustrate Legend Of First Polynesian Visitor To New Zealand. 🇳🇿 New Zealand Post will issue a set of 8 very colourful, attractive and interesting stamps on 5 June 2019 to illustrate the arrival of the legendary Kupe in New Zealand. Kupe is said to have been the first Polynesian to discover the islands. Highly recommended. Rating:- *****. Also due to be issued on 5 June 2019 is a set of 5 'scenic' definitives as have been released in recent years. 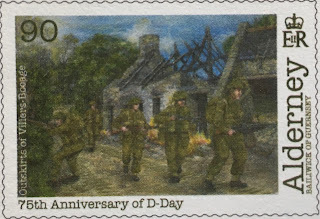 These are made necessary by another rise in postal rates. The $2.60c is a new value while the $3.30 is a reissue of a previous stamp. 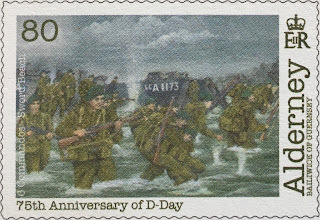 These first 2 stamps will be sold in self-adhesive format and the $2.60c will also be sold gummed along with $3.90c and $4.50c values. Rating:- ***. 1423. 🇮🇳 India Post Remembers The Amritsar Massacre. 🇮🇳 On 13 April 2019 India Post issued 2 stamps and 1 miniature sheet to commemorate the Centenary of the Amritsar Massacre which is also called the Jallianwala Bagh Massacre. This was one of the most shocking events in Anglo-Indian history and occurred when large numbers of Sikhs gathered together in Jalliawala Bagh in Amritsar in Punjab during the feast of Baisakhi, the main Sikh festival, to protest peacefully over the arrest and deportation of two nationalist leaders, Satya Pal and Saifuddin Kitchlew. The local British Indian Army commander, Acting Brigadier-General Reginald Dyer, was convinced that a major insurrection was taking place and ordered the troops under his command from the 2nd and 9th Gurkha Rifles to fire on the crowd. The firing continued for 10 minutes and it is thought that 379 people were killed and 1100 injured including 192 who were seriously injured. The Indian National Congress estimated that about 1000 people were killed with 1500 injured. A report released the following year criticised General Dyer and the Punjab government and Dyer's military career effectively came to an end. As a result of the massacre many moderate Indians abandoned their loyalty to the British and became nationalists distrustful of their colonial rulers. 🇭🇰 Hong Kong Post will issue a set of 6 stamps, 1 miniature sheet and a $53 'Prestige booklet' to commemorate the 175th anniversary of the Hong Kong Police Service on 30 April 2019. 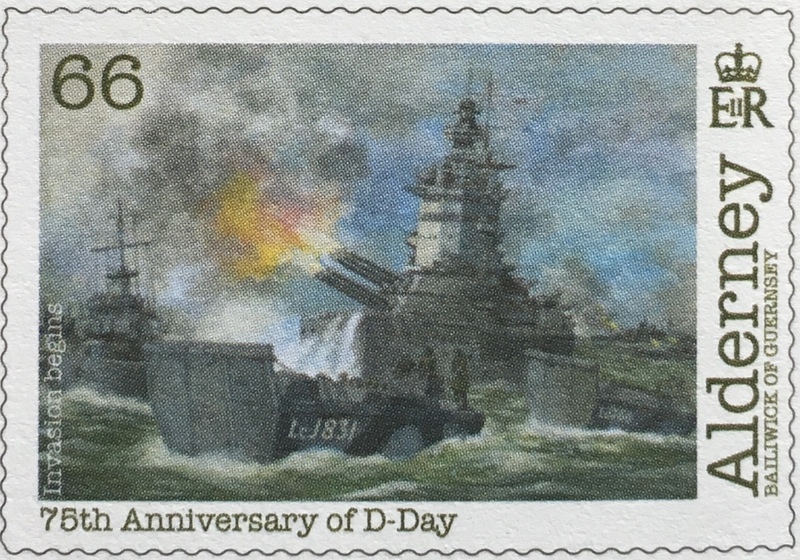 The issue was designed by Jason Chum and Chow Lee and lithographed by Enschedé and perforated 13.5 x 14.5 with the miniature sheet being perforated 12. An interesting and well designed issue. Rating:- ****. 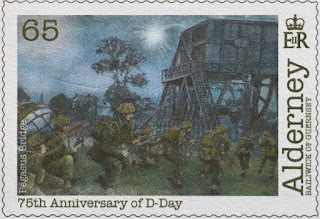 🇳🇷 The new Nauru Post is planning to set up an online philatelic website "in the coming days" and it is intended that collectors will be able to obtain "all the new and even the older stamps" through the site. 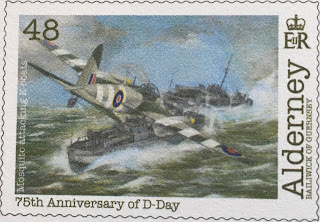 This will be a great help to collectors who have so far found news of recent issues difficult to track down and the stamps hard to purchase. Note, however, that this service is not yet available to collectors. Thanks to Michael Dame for this information. 🇬🇧 I assume that among the many interesting and well produced issues that will be released by Creative Direction/Pobjoy Stamps during 2019 we may expect a set of stamps to commemorate the Bicentenary of the Discovery of the South Shetland Islands in the British Antarctic Territory. On 19 February 1819 the mariner William Smith who had been born in Blyth in Northumberland and who was on board the sailing vessel The Williams sailing from Buenos Aires to Valparaiso sailed unusually south of Cape Horn to catch the prevailing winds. He spotted new land but the naval authorities did not believe him and so on a subsequent voyage there he landed on the largest of the islands and named it King George Island with the island group being named the South Shetland Islands. In 1820 The Williams was chartered by the Royal Navy and sent with William Smith and Lieutenant Edward Bransfield on board to survey the newly discovered Islands. 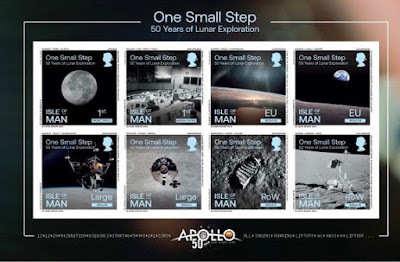 Unfortunately there does not appear to be an existing portrait of William Smith and therefore he did not appear on the set of 15 stamps depicting explorers issued by BAT on 14 February 1973 and neither does Bransfield but his name is commemorated philatelically on one of the stamps issued by the British Antarctic Territory in 2017 on the subject of Research vessels in the Antarctic - RRS Bransfield which was used from 1970 to 1999. I very much look forward to an issue to commemorate Smith, Bransfield and the discovery of Antarctic territories later this year. 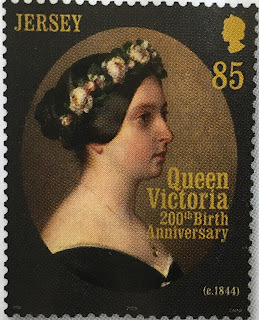 🇬🇧 In Blog 420 I mentioned the 6 stamps to be issued by Royal Mail on 24 May 2019 to commemorate the Bicentenary of the Birth of Queen Victoria. The excellent stamps are accompanied by four more contained in a miniature sheet which commemorates 'The Legacy of Prince Albert', Victoria's husband who was also born 200 years ago. 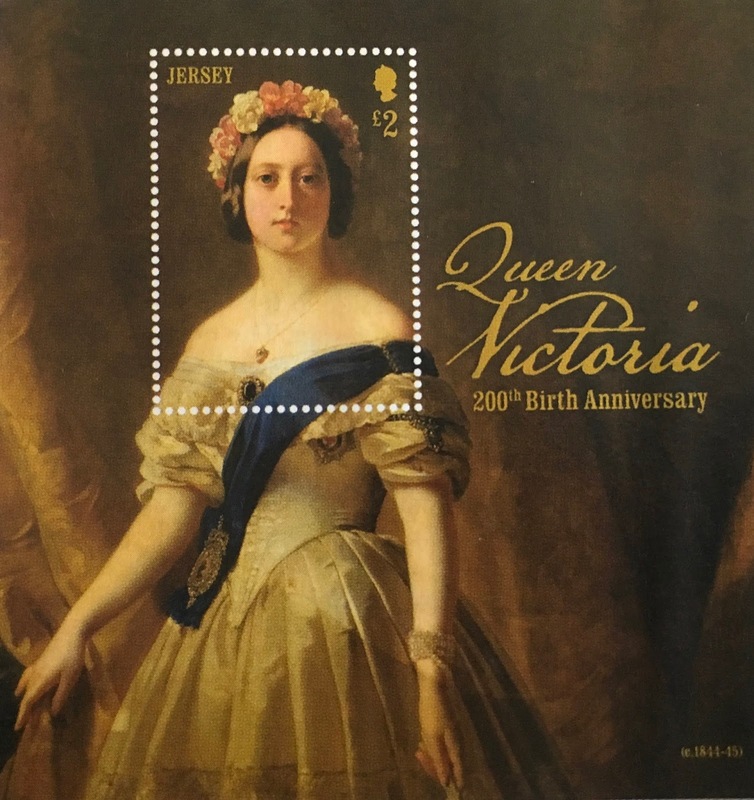 The sheet depicts buildings associated with The Prince Consort and with Royal Mail's usual Londoncentricity it is inevitable that 3 of the stamps depict scenes in the capital. 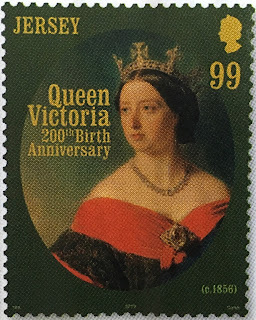 Clearly Prince Albert rarely left London except for an occasional trip to Balmoral in Scotland which is shown on the remaining stamp. 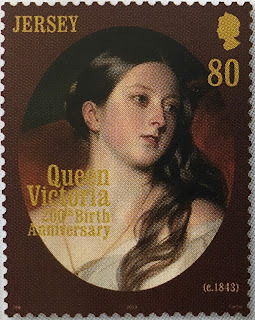 The item is drearily black and white which is a pity when one sees the magnificently colourful six stamps to be released to celebrate his wife's bicentenary. Rating:- **. 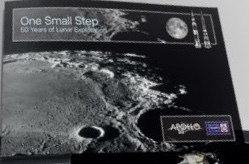 There is also to be yet another 'Prestige booklet' associated with this issue. This will be the third such item issued so far in 2019 which is plainly excessive. I have now given up collecting these expensive items having not been prepared to waste my money on the previous Marvel Comics Prestige booklet (be it standard version or 'deluxe' limited edition version) and when you've omitted one from the collection it's extremely easy to decide to add no more. 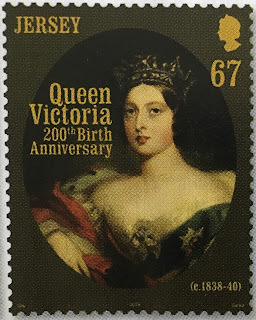 Clearly the contents of these booklets have very little chance of being used on ordinary mail and it matters not to me whether or not there are new varieties of the Machin Head definitives contained within them. While there were 2 Prestige booklets released per year I was prepared to continue to collect them, after all they are very attractive, but as always happens Royal Mail has grown greedier and greedier for collectors' cash and the result for me at least is that instead of selling 2 booklets per year to me Royal Mail will not be able to get me to part with my money for even a single one.